What does karma and reincarnation have to do with disease? What does it mean to take responsibility for your own healing? How are we influenced by other people's energy and what can we do about it? Which ascended masters have a special role in healing? Mrs. Prophet, talking about taking responsibility in matters of healing – How does one put that into action? The ascended masters are concerned that their chelas put on the mantle of Christ, of Buddha and not merely touch the hem of the garment. There is a big difference here. It's important that we realize that we may be in the presence of Jesus Christ and he may heal us—in fact, he may heal us lifetime after lifetime—but until we actually realize our responsibility in the use of free will and the use of God's energy, we will never be free from the rounds of rebirth. To gain that freedom we need to begin to ask ourselves, “Well, why do I have this problem?” All of us have a basic awareness of the effects of certain foods upon our bodies. I would not think of asking someone to heal me of a condition in my body that I incurred by knowingly partaking of food that does not help the harmony of my body. I would recognize that I needed to fast for a day and remove from my diet that type of food. If we study the causes and effects in the physical temple, we realize that indulging in temper tantrums or periods of weeping or prolonged periods of hatred of other parts of life or jealousy also has an effect. We can watch ourselves and see that even dishonesty will result in a certain type of physical disease. Disease may not come immediately, but over the years these energies recycle. We can seek an instantaneous healing of outer symptoms or we can say, “I'm going to take command of my life and I'm going to eliminate the hatred that is causing me this suffering.” And so it goes. How can one identify causes that may have occurred many lifetimes ago? It is not always easy and we don't necessarily have to identify these subconscious momentums. We can know that if we are experiencing a problem in one of the four lower bodies, it is likely an effect of a past misuse of energy. That misuse of energy may have been as recent as an hour ago when we ate something we shouldn't have eaten or we drank something we shouldn't have drunk, or it may have been fifteen embodiments ago. In either case, the correct use of the sacred fire, the call to the violet flame, the affirmations of Jesus Christ will begin to set God's energy in motion to heal the cause and core of the condition. Is illness always a manifestation of past misuse of energy? No, not altogether. Illness may be simply the effect of the weight of the mass mind upon an individual. And therefore we need to protect the temple of being. We can begin to have a headache because of very dense energies of confusion or discord manifesting through people close to us or at a greater distance away. Are you saying we are influenced by people we don't have direct contact with—that the world at large can affect the way we feel? Yes. We notice this when we're all trying to get out of the city at the same time on Friday night. We flee the city because the city is dense. We want to get out into the country, into the mountains, somewhere else. This is because there is a heavy concentration of the human consciousness and human miscreation in the city. We feel the effects of it as density, as actual weight and fatigue upon our bodies. So we go to the hills to get recharged with the energies of God that are in the currents of the earth. We are constantly being affected by our environment at all planes of consciousness. Pollution itself is a cause for disease. It should not be considered as something of our past karma but as something to be dealt with in our present environment. If we fail to deal with it, we'll be making karma in the present. But whether it is the space without or the space within that we are dealing with—in other words, the environment of the city or the environment of our consciousness—change begins with the Science of the Spoken Word through the energy that is in the heart, which comes from the heart of God. Jesus has given to us a number of transfiguring affirmations. These affirm God, the I AM THAT I AM, where we are. If we begin with these, then we can tackle the problems of pollution, of the ecology and of all the energies that are upon us at the national and the international level. And we can also go within and tackle the problems of our past misuses of the sacred fire. The point of beginning is the I AM THAT I AM. Our meditation upon this name of God is with reverence and with the awareness that God is even now within our hearts. As I repeat these affirmations, I feel the Spirit of the living God expanding within me. I feel a cascading energy of light descending upon me like a waterfall or a wind of the Holy Spirit, and I hear the sound of this Spirit within my inner ear. It is even a physical sound. And I have found that the more these affirmations are given, the more my being and my vehicles come into a oneness, a congruency, with the temple of God. We see that through the Science of the Spoken Word, healing may be instantaneous or it may be gradual. But it is always the result of our entering into a relationship of mastery with those who have mastered life before us—the ascended masters. These are the ones who will teach us the way to health and wholeness. Where there are conditions requiring immediate attention through surgery or medication, of course we ought to be practical and avail ourselves of the opportunities that modern science affords us. But right while we are “suffering it to be so now,” so to speak, we ought to be invoking the light of God to compensate for the energies that we know have been misqualified and have resulted in the present difficulty. Our goal is to preserve the physical body, the mind and our energy here on earth so that we can prolong our opportunity to serve God. Where there are doctors and scientists who can effectively help us in doing this, we should recognize that we, working with the doctors, become partners with God to bring about wholeness. But we also ought to see about regulating our life, our self-discipline, our diet, our exercise and our meditation so that we can have greater and greater mastery of these energies of fire, air, water and earth. Are there particular ascended masters who have a special role in healing? There are indeed. Just as we have specialists in the human scene, there are specialists in heaven. There are ascended masters who have won their victory by the specific application of their life's energies to the problem of healing. 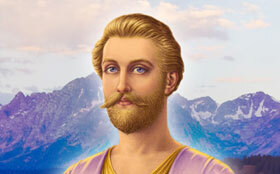 Hilarion is the master of the fifth ray. The fifth ray is the ray of science, healing, truth and the abundance of God. 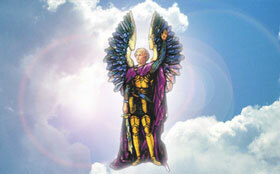 Hilarion has an etheric retreat over the island of Crete. He was embodied as the apostle Paul and during that incarnation was very much endowed with the scientific understanding of Christ's teaching. He was the instrument of many miracles and healings. Then there are the Elohim of the fifth ray, Cyclopea and Virginia, whose retreat is on the etheric plane in the Altai Range, a mountain range between Russia and China. 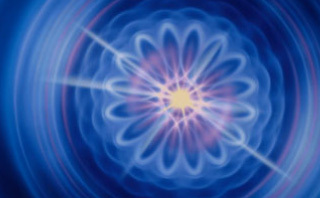 The Elohim of the fifth ray focus an intense concentration of science as well as healing. Cyclopea is invoked specifically for the intensity of the All-Seeing Eye of God and for the opening of the third eye. The third eye is the chakra involved with healing. We are intended to use the All-Seeing Eye of God through the third eye to see the perfection of God in man, and by seeing this perfection we can create the forcefield necessary for healing. There is one who is known as the Angel Deva of the Jade Temple, who also has an etheric retreat in China. You may wonder why these two retreats are in the vicinity of China. This has to do with forcefields and earth currents. The Chinese civilization, one of the oldest on earth, has always been marked by mastery in science and the healing arts. This influence has actually come from these temples. The Ascended Master Jesus and Mother Mary maintain a focus of healing in the Temple of the Resurrection, which is over the Holy Land in the etheric plane. The Holy Spirit is a major factor in healing, and by the conversion of the Holy Spirit many have had an instantaneous healing. The representative of the Holy Spirit to the evolutions of earth is called the Maha Chohan, which means “Great LORD.” The one who holds this office has his retreat in the etheric plane over the island of Sri Lanka (formerly Ceylon). 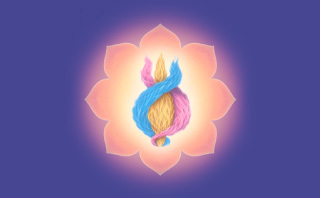 The Maha Chohan is an ascended master who truly embodies a tremendous energy of love, which has been known to effect instantaneous healings right in the midst of audiences where his dictations have been given.